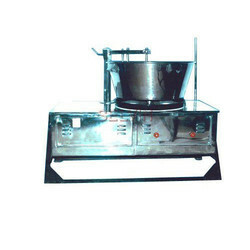 Pioneers in the industry, we offer halwa maker machine from India. Paying utmost attention to the clients' requirements, we manufactured the Halwa Maker Machine with the premium-grade raw material. It is used for making tasty Halwa a traditional Indian sweet dish. We are providing this product at the affordable price range and ensure timely delivery direct at the clients' premises. Our product is qualitative and assured to give optimum performance at the clients' end. Looking for Halwa Machine ?